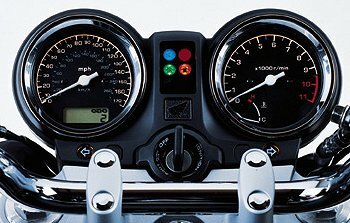 Along with the power cruiser category, the naked bike category has exploded here in the United States in the last couple of years. 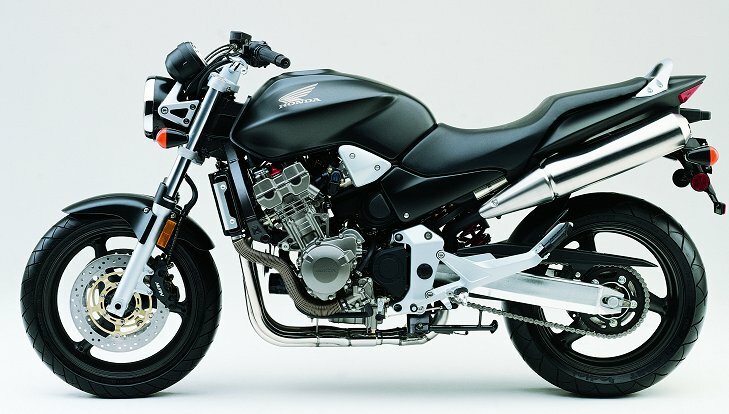 With the introduction of Kawasaki’s up-rated ZRX1200 and, particularly, Yamaha’s new FZ1 (known as the Fazer 1000 in Europe), Suzuki’s Bandit 1200 has found plenty of company. Only Honda was left out of the party, until now. Known simply as the 919, Honda’s new open-class standard machine takes its engine from the CBR900RR (with significant changes — discussed below) and its styling largely from the European-only Hornet 600. At first blush, one could conclude that, although good looking, Honda has come to the table with an underpowered machine to compete with the R1-based FZ1 and the ZRX1200. Some distinctions between the 919 and these other machines, however, must be noted. First of all, the 919 is a pure naked bike — with no fairing whatsoever. Only the Bandit is available as a true “standard”, rather than the bikini-fairing clad Kawasaki and Yamaha. On the lighter end of the standard scale, the 919 undercuts the FZ1 significantly both in terms of weight and price. At a U.S. MSRP of $7,999 and a dry weight of 427 pounds, it is $500 cheaper and 31 pounds lighter (comparing manufacturers’ claims of dry weights) than the FZ1. 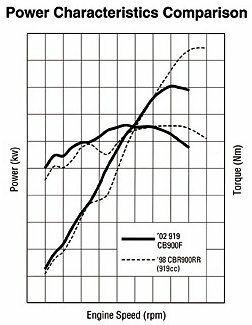 According to a torque and horsepower curve comparison with the CBR900RR, the 919 makes substantially more torque and horsepower in the low end and mid-range. According to Honda, the 919 was tuned for acceleration around town, not a shrieking top end. 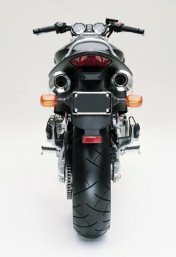 Changes to the 900RR engine include the addition of a sophisticated, computer controlled fuel injection system, different cams to promote the low-end and mid-range bias, and, of course, the distinctive four-into-two-into-one-into-two exhaust system that exits beneath the seat. Honda’s square-tube backbone steel frame incorporates the engine as a stressed member, and does a good job of displaying the engine in all its splendor. 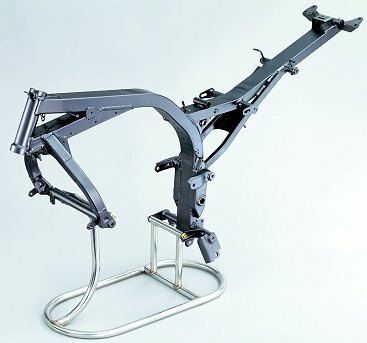 A single shock meets the aluminum swingarm, and is adjustable for spring preload. A 43mm cartridge fork (not adjustable) holds one of the two hollow-spoke aluminum-alloy wheels. Honda claims roughly 110 horsepower at the crank (expect low to mid-90s at the rear wheel) from the 919. With the Yamaha and Kawasaki putting out roughly 120 and 115 horsepower at the rear wheel, respectively, the smaller-engined 919 will have to rely on its lightweight agility and torquey power output when competing in this class. The styling, of course, is also unique for this class and, in our opinion, quite attractive. The 919 should be in U.S. Honda dealers in January, 2002.